Car Parks need to be efficiently managed to ensure customer satisfaction and increase profitability. To achieve this, the operators need to improve the security, safety and operations of the car park. In a car park, even the larger premises, there is usually not a lot of man power as there are only a few security guards, if any, ensuring the management of the entire car park. Therefore, it can be very difficult to effectively manage the premises. Theft of vehicles and the belongings from inside vehicles have always been a major concern for the security of the car park and car park operators need to constantly be aware of thefts and suspicious activity. 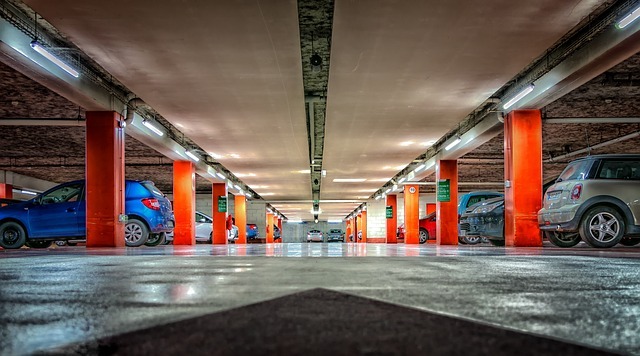 For a car park to be efficiently managed and to increase profitability, operators need to monitor how many free parking spaces are available, where they are located, and how long a vehicle has been parked for to monitor if it has gone over the designated time. iQ-Car Park is a comprehensive portfolio of applications that can fulfill each of the car park’s specific requirements, while operating as a single integrated system to ensure quick distribution of information to all concerned when any event occurs. iQ-Car Park can help prevent such thefts from occurring by identifying suspicious individuals. iOmniscient’s loitering detection application can identify suspicious behavior and alert the operators to take appropriate action. iQ-Car Park can also match the owner of the vehicle to the license plate to ensure it is the owner (or authorized driver) who is leaving the premises in the vehicle. iQ-Car Park is armed with iOmniscient’s unique Nuisance Alarm Minimization System (NAMS) which can cope with the complex and crowded scenes that exist in the real world, thus ensuring reliable results. Coupled with iOmniscient’s patented iQ-Hawk technology, which simultaneously detects events and identifies people and vehicles on the same camera, iQ-Car Park can deliver an automated response system which can then be tightly linked into the user’s own processes. iQ-Car Park is a comprehensive suite of Video Analytics applications designed to meet the specific needs for car parks. The system is modular and each application can be purchased separately. And yet all the applications can interact to provide a fully integrated video based utility service for the many requirements of car parks. Smart Parking to calibrate the number of occupied and unoccupied parking spaces. Indicate where empty spots are located and guide drivers to the right level and to the right aisle with a map user-interface displayed on individual’s mobile handset, PDA etc. Assist car owners to locate their parked car in a large and multi-story car park environment by entering specific license plate information into a kiosk. Smart Revenue Generation technology helps you understand how long a car has been in the a particular zone/ parking bay by harnessing the power of LPR. In case a vehicle is parked for too long in a pickup zone the system will automatically trigger an event / alarm. Detection of parked vehicles in no-parking zones or special reserved zones. In case a vehicle is parked in a no-parking zone, the module will automatically trigger an event / alarm. Provision of VIP access using License Plate Recognition and/or Face Recognition. In case a blacklisted vehicle enters the premises the system will automatically trigger an event / alarm. Identify loitering – particularly a person who is checking out cars (e.g. using Face Recognition to track the suspect/criminals in an uncontrollable and crowded environment). Stream the traffic flow by allowing automatic entry for authorized vehicle when license plate is recognized. Ensure smooth flow of traffic at peak times. Prevent vehicles traveling in the wrong direction. Detect identified objects and raise alarms. Detect if someone falls down caused by slipping or a fight. Smoke and Fire detection (conventional smoke and fire detection in not effective in areas with high ceilings).